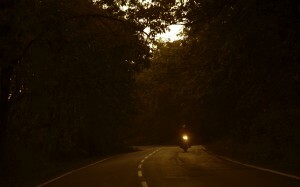 The first time that a rider takes their bike out onto the open road for an extended ride, such as a road trip either with friends or by themselves, things don’t always work out as they planned. The reason for this is because they often apply the same planning and safety methods as they would when planning a road trip in their car. However, car and bike road trips are vastly different, with each requiring its own set of planning tips to keep the rider both safe and sane. If you are about to embark on such an adventure, TenEyck Distributing has you covered with the following tips. The first step is to think about where you are going and how long it is going to take to get you there. When working this out, the worst thing that you can do is assume that you can travel the same distance per day on a bike as you would in a car. Why? Because cars are comfortable, and, well, bikes aren’t. There’s just no getting around it. With this in mind, think reasonably about how long you can spend riding your bike before needing a short break to stretch your legs and walk around or take some time to eat or drink. After all, when you’re in a car it’s easy to simply open a can of soda and refresh yourself, however, this just isn’t possible on a bike, with the need to pull over to enjoy a drink. Considering the above will help you to not only choose a realistic destination but to also determine where you may need to stop for the night and how long the entire trip is going to take you. Click here to buy 20W-40 Synthetic V-Twin Motorcycle Oil and keep your bike’s engine in good shape. How well your bike performs on a road trip is dependant on the type of products you put into it and the level of maintenance you regularly perform. If you aren’t sure if this is the correct product for your bike, speak with an expert at TenEyck Distributing by calling (208) 589-4660. Alternatively, browse the online store which has information about the range of high-quality AMSOIL products available. While rain isn’t ideal during a road trip when you’re driving a car, the weather conditions aren’t all that impactful on both your drive or your enjoyment of it. After all, a car has a roof and windows, not to mention a range of climate control options! When it comes to a bike, it’s just you and the open air, which includes the weather. For this reason, when planning your road trip, take the weather seriously. If the forecast is for torrential rain then it might be worth either changing your destination or planning the trip for another time. If you are insistent on riding through bad weather, in line with the above tip, think seriously about how long you will be able to put up with the conditions before you will need to stop and take a break. For example, if it’s forecast for cold weather, you’re going to want to stop more to enjoy some coffee more often than you would in a car, and more often than you would on your bike in warm weather. When you are driving in a car, it will be easy to simply change the radio station while you drive. On a bike, however, it isn't easy at all. For this reason, your best bet is to spend a bit of time before the trip to create some playlists using your preferred music streaming service. This can curb the need to pull over and stop just so that you can change the music. Of course, given that your bike doesn't have speakers, look for a comfortable in-ear Bluetooth headset which can easily connect to your phone and stream music without the need for cords. If you want to take it a step further, look for one which you can speak to, to access your phone’s features such as calls and messages, or even to change playlists. While it isn’t essential, it’s worth giving some thought to making a bike-based road trip with friends or family members, instead of going it alone. The reason behind this tip is that road trips are best completed as social events. When you are in a car, of course, you and your friends can talk about what you see as you pass. However, when you’re on a bike by yourself, it’s just you. Stopping at regular intervals to speak with your fellow riders about the roads you have just ridden and what is coming up ahead can work to both make the trip more enjoyable and to help keep you sane along the way. The safety and reliability of your bike depend on how well you maintain it and the quality of the products you put into it. To give your bike the best and help keep you on the road for longer, speak with TenEyck Distributing at (208) 589-4660 about the range of high-quality AMSOIL products available for your ride.